It is the purpose of the California District Council of the Pentecostal Assemblies of the World, Inc. to establish greater fellowship and understanding amongst the ministers, workers and churches of like faith; to advance the kingdom of our Lord Jesus Christ; to establish and aid the churches in everyway possible, and to foster and maintain the high standard of holiness set by our Lord Jesus Christ as revealed in the scriptures. Fifty days after the Passover on which Jesus Christ our Lord had shed his own blood for the sins of the world, the church began. Pentecost had fully come. As slaves were freed, debts were forgiven and all persons were to rejoice, so those who were held captive by sin were freed. Jesus had paid the debt and sent his Spirit into their hearts. Their joy was full. It was Pentecost! The Holy Ghost filled each worshipper, and they spoke in other tongues and magnified God. That day the doors of the Kingdom were opened and three thousand souls entered by being baptized in the water in Jesus’ name and being filled with the Holy Ghost (Acts 2:38-47). From that day until now, the church has been doing business for the King. When difficulty was encountered, the first council met in Jerusalem, James being the Chairman (Acts 15). Through the years, periodic outpourings of the Spirit have occurred, and always, problems have been encountered. 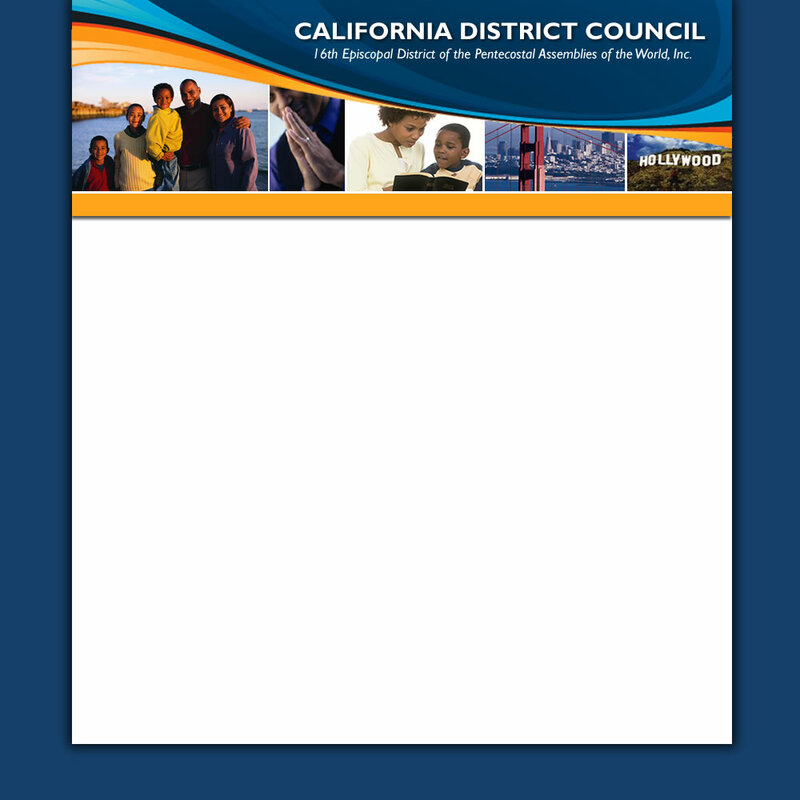 Today, the council is not only an integral part of its parent organization, but is privileged to function in the western district as an autonomous corporation under the laws of the great state of California. In this dual capacity, the California District Council reaches out to better serve its adherents and to faithfully augment and prosper the far reaching work of the international organization, the Pentecostal Assemblies of the World, Inc.